Posted byRushad Patel	 April 26, 2016 May 12, 2016 Leave a comment on Battleborn vs Overwatch: Which is the bigger e-sports contender? May’s two big releases – Battleborn and Overwatch – aren’t quite similar to most online shooters in the market, but they aren’t all that different. Just enough, their respective creators will hope, to propel them towards e-sports greatness. Both games borrow ideas from tried and tested formulae but mix them up to create a whole new experience. To get a better understanding of what online games are aspiring to be today, let’s have a look at some of the amazing game successes during the past few years. Today online shooters have transformed the way game developers do business. With the onset of e-sports, the business model for games as well as their shelf lives has drastically changed. 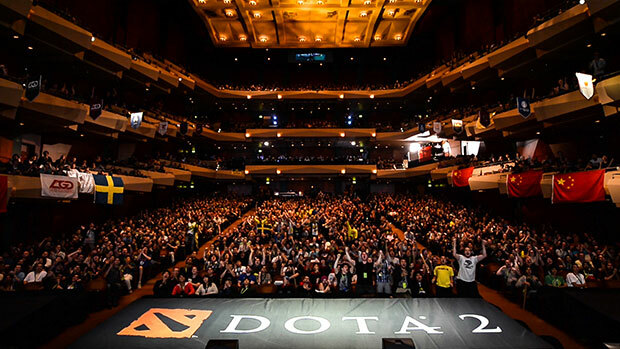 When a game like Dota 2 can offer a prize pool of $18 million for a single tournament, namely The International 2015, game developers have realised that a single great game can become their cash cows for a very long time. A point worth noting: out of the $18 million cash prize, 16.4 million was contributed by players by buying in-game items. That’s a huge amount of money that the sponsors of the tournament did not even have to gather. Now, with Valve being a privately held company, we do not get to see their accounts, but there are statistics out there that suggest Valve can easily run their entire business from collections just from Dota 2 and Team Fortress 2. Business-wise Valve never needs to create another new game (another reason to mention Half-Life 3). That’s now one heck of a business model. With earnings like these, many other developers are looking for a piece of this gigantic pie. And in the coming months, some big names are going to release their game titles in the hopes of being a lucrative e-sports contender. The two big ones releasing next month are Battleborn, developed by Borderlands series creator Gearbox Software, and Overwatch, from Blizzard, the house that brought us Warcraft, StarCraft, Diablo, and Hearthstone. Both companies have a reputation for launching great multiplayer-centric franchises. But while the similarities between the two games are obvious, there are also some significant differences that may establish one as a clear winner. Take Blizzard’s magnum opus, World of Warcraft. It can be regarded as one the greatest online games ever, having garnered over 100 million accounts in its lifetime. When comparing this to 2K’s success in Borderlands, the numbers don’t really match up. But if we start looking a bit deeper into the character developments for each game, Borderlands characters surely seem more defined. That is to say, the core attitude of the game is lovable and more preciously, memorable. Those who’ve played Borderlands 2 will remember Handsome Jack, or for that matter, the psychotic, explosives-obsessed thirteen-year-old, Tiny Tina. Borderlands oozes attitude. Watch trailer for Battleborn and Overwatch and you can clearly see that attitude spilling over into the characters of Battleborn. Overwatch too has some quirky fellows that you would love to play as, but somehow the overall feel seems to be more one-dimensional rather than story-driven. Both games focus on its multiplayer modes. 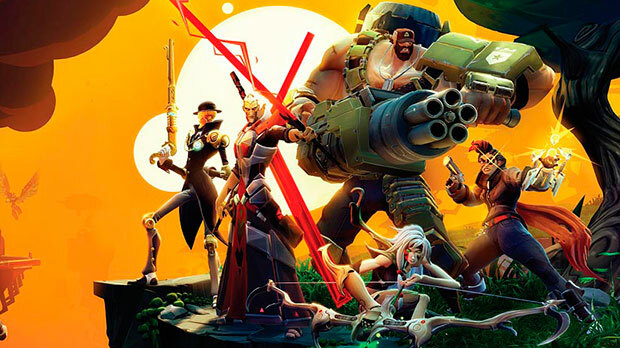 Battleborn focuses on five-versus-five player combat, and in Overwatch, two teams of six players battle each other. But in additional to player vs. player, Battleborn also has a single-player campaign and co-op multiplayer. Now, this may just seem like an addition that most players will not care about, but in fact, I feel having a single-player mode is a great move to teach players all the complexities required to be good at online play. 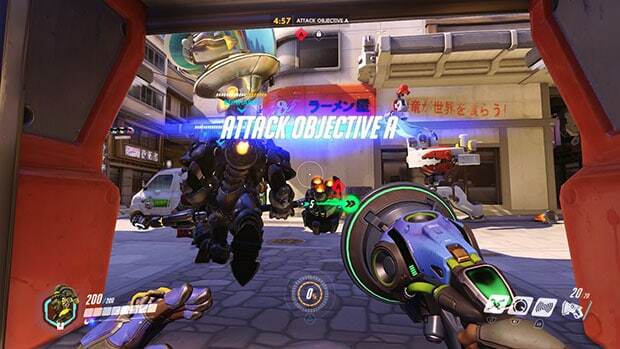 At its core, Overwatch is simple. It’s similar to Team Fortress 2, a game that involves one team on offence and the other on defence. There is no levelling system, players can change characters in-game and the outcome is purely based on skill. 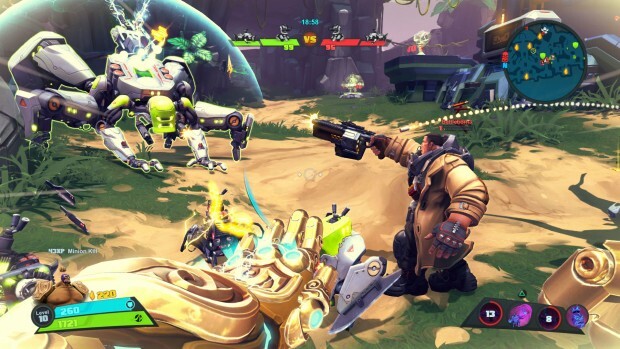 With Battleborn, there are a number of moving parts, a lot of intricacies and strategy details involving neutral camps within the map, AI minions on both teams, along with a levelling system that can change how your characters evolve during a single fight. In Battleborn, the support class can have a greater contribution, other than just healing your allies. Controlling minions and neutral camps will make the difference between winning and losing. But all these intricacies involve a steeper learning curve, and this is where Battleborn’s single-player will be useful. Here’s hoping the single player is not lacklustre or simply boring. Battlefield 3 had similar intentions but fell flat on its face in single player. As I already mentioned in some detailed above, Battleborn does have a steep learning curve when compared to Overwatch. The question here is, is the learning fun? It’s extremely important to have a game that’s simple to play but difficult to master. Again, Team Fortress 2 is the perfect example; a game that has been in the market for almost ten years, but continues to garner more players every day. Similar is the evergreen Counter-Strike. Both games have a simple learning curve, but it’s really difficult to be great at them. The problem with Battleborn is the game itself feels complex. In order to have fun, a player will have to contribute a good amount of time learning the basics of the game, practicing, and then moving onto more advanced mechanics. It may take a player more time to start enjoying Battleborn than Overwatch. It’s a fine balance that the developers are attempting, and it will be interesting to see who gets closer to the sweet spot. 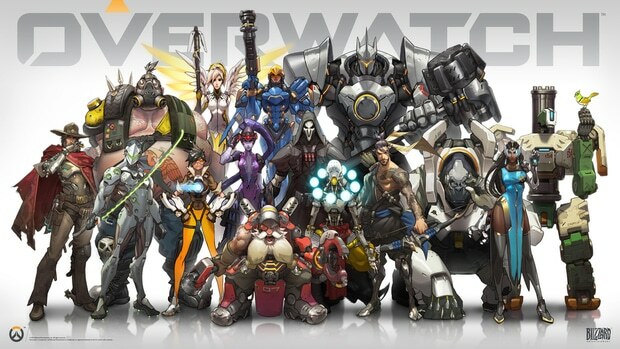 Battleborn will feature 25 playable characters at launch, and Overwatch will have 21. Both games have extremely varied heroes, and the distinct art styles shines within each game. But the Overwatch heroes seem a lot more fun to play with. Now, this is purely based on trailers and gameplay videos, but it seems that Battleborn has focused a lot on back stories, but the abilities don’t seem all that innovative. Battleborn’s abilities constantly revolve around damage or healing, but this is not the case for Overwatch. Those who play MOBAs will realise that the ultimate ability is a game changer, and using it requires timing and skill, and how each ability is used and countered will vary across every game. But on first look, the hero abilities on a number of Battleborn heroes feels a bit uninspired. Not a game changer, but this can make a difference. 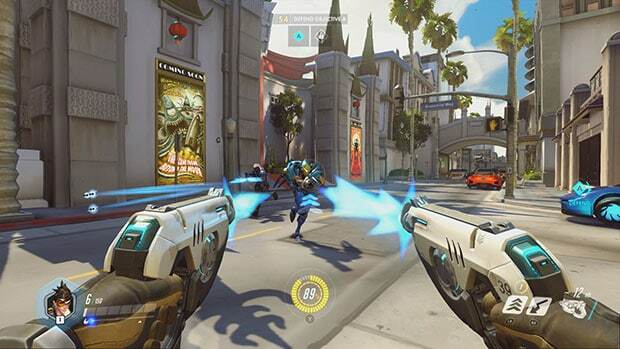 Overwatch will be played via Battle.net, whereas Battleborn will be supported on Steam. Now, I don’t want to be too picky, but with almost 90 percent of all my games on Steam, it’s always more comfortable to remain there. Battle.net is not at all bad, but it’s not Steam. Though it may not hinder a player’s decision to buy the game, having most of your games on a single platform is just better. Add to that the benefit of having Steam in INR. Battleborn can already be pre-purchased on Steam, but Overwatch pre-orders still don’t have India on their list. Both these games have great prospects when it comes to competitive matches. But there is one glaring difficulty that Battleborn and Overwatch will have to endure in order for them to be watchable. Watchability is the key component when it comes to e-sports. Imagine watching an English Premier League match or a cricket tournament on TV, where all you can see is the player’s perspective. You cannot follow a sport if the view is in first-person. Every sport is viewed from a withdrawn perspective, so audiences can watch how the team is doing, and not only one person. Dota 2 does this perfectly; a top view of the map so audiences watch and the commentators find it far easier to call plays. Watch the highlights of the Dota 2 International final here, and notice how similar it is to watching a football or cricket match on TV. This is something extremely difficult for a first-person shooter. Even if Overwatch and Battleborn do excessively well, the major reasons that Dota 2 will still remain at the top of the e-sports food chain is its ability to thrill as a spectator sport. If either of the two FPS wants to leap that boundary, it will have to work hard on how the game is viewed by an audience. Battleborn releases on May 3 for PC, Xbox One and PS4, priced Rs 999 on PC and Rs 3,499 on consoles. Overwatch is releasing on May 24, also on PC, Xbox One and PS4. Overwatch is unlikely to get a retail release in India, but can be preordered on PS4 via PSN for Rs 3,999, on Xbox One via Xbox Live for Rs 5,000, and on PC via the Battle.net Shop for $40.